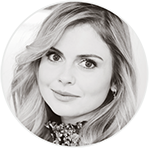 Rose McIver has been working since age 3, thanks to commercials and TV shows in her native New Zealand, as well as two Disney Channel movies — but she’s never been someone you’d recognize on the street. Well, she’s about to find out what a difference one role can make. The actress, 21, has a pivotal part in The Lovely Bones, Peter Jackson’s adaptation of the riveting 2002 novel, which hits theaters Dec. 11. She plays Lindsey, the inquisitive younger sister of the teenage Susie (Saoirse Ronan), a murder victim watching over her family from the afterlife. ”It was one of the first books I read with such complex subject matter,” says McIver, who discovered the novel at 13. To play Lindsey, the actress had to channel her inner teenager.